New York, NY –April 22, 2015 – New York based securities and corporate law firm Sichenzia Ross Friedman Ference LLP announced today that the Firm has represented Aegis Capital Corp. as sole underwriter on a public offering for Professional Diversity Network (NASDAQ: IPDN). The offering consisted of 1,670,000 shares of PDN’s common stock offered at a price to the public of $3.00 per share for total proceeds of approximately $5,000,000. The Professional Diversity Network, led by the company’s president Star Jones, is a developer and operator of online social networks providing access to employment opportunities for minority professionals. The offering was made pursuant to a S-3 shelf registration statement. 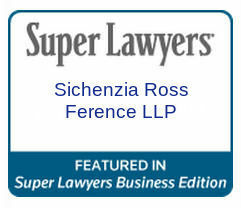 The Sichenzia Ross Friedman Ference LLP team was led by Partners Gregory Sichenzia, Marcelle Balcombe and Associate Jeffrey Cahlon.